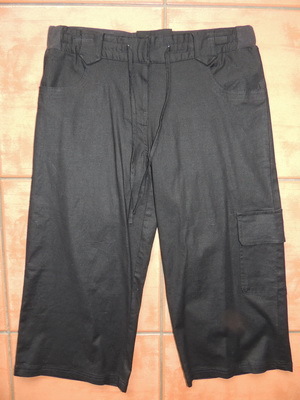 This is a lovely pair of soft black cotton linen maternity pants in a 3/4 length. They are new without tags, a sample by Ninth Moon. The pants feature a wide knit waistband at the back and a drawstring at the front, allowing them to go throughout your pregnancy. They have a fly front and pockets front and back. Be the first to review “NEW Black 3/4 Linen Maternity Pants” Click here to cancel reply.